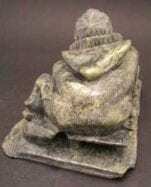 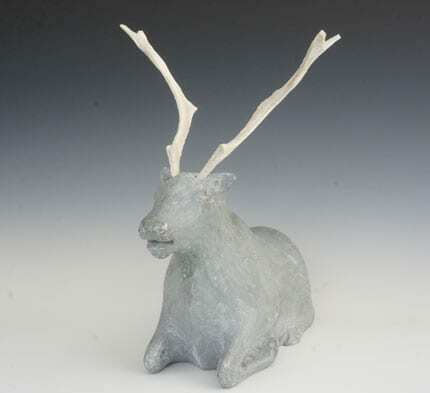 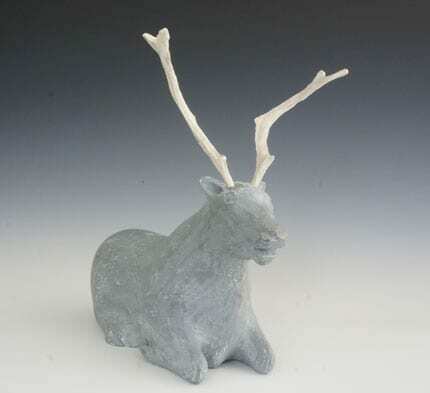 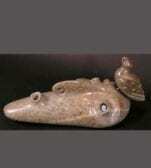 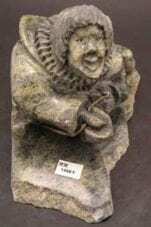 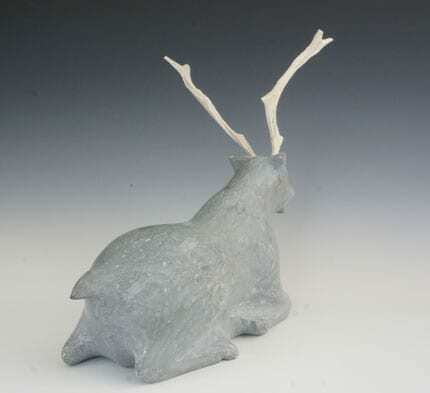 A resting caribou, carved from basalt by Arviat’s Henry Isluanik. 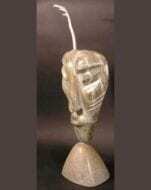 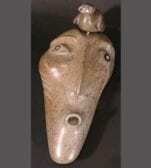 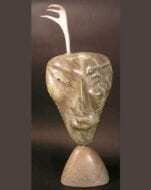 Born in 1925, Isluanik has been carving for many, many years. 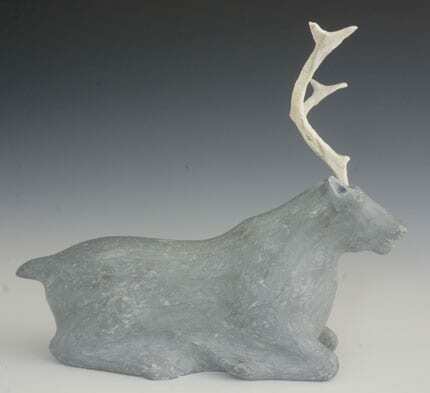 He is best known for his resting caribou; this sculpture is a fine example.